Before understanding precisely how SBA loans and their overall application process works with buying a business in Florida, it would be pertinent to note that an SBA loans can be a great way to leverage cash flow which may otherwise be unobtainable. US Small Business Administration 504 Loan”. In a nutshell, this vast loan program has been essentially created with the purpose of helping any of a number of eligible business entities to be able to procure all necessary financial assistance, in order to acquire both fixed and capital assets. These may include different types of machinery and building structures, along with real estate. As a rule, these SBA loans are generally given to the applicant at rates considerably below the market at any specific point in time. The core purpose here is to ensure that the daily business activities (along with their ancillary expansion plans) may well be conducted in a smooth manner and without any significant cutbacks that may ensue due to lack of funds in case of a running business that is already operational. A point to be noted here is that the SBA loan is able to offer a large number of highly structured but quite different loan options that may have been tailor-made in a bid to suit the specific and precise ‘capital needs’ of both small and medium business entities. It is also important to understand the fundamental difference between ‘operational vs. capital’ cash flow needs since the latter is usually more often concerned with the more longer term or in other words, fixed assets as opposed to the simpler operational assets. Such capital injections may be acquired for the purpose of purchasing expensive machines at a manufacturing plant, for instance. However, it will not mean that the SBA loan could be randomly taken simply to pay the monthly salaries of the staff or the electricity bill of any particular machine that may be part of the manufacturing plant, even if the plant itself may have been set up with the help of an SBA loan in the first place. The entire program works through the networked distribution of the 504 loan where various parties are involved. Many banks have their own guidelines which are specific to each bank so it is important to note that all SBA loans are not created equal. Yes, each bank must adhere to the federal guidelines but most banks will often add their own criteria which may include a larger down payment or even seller financing. 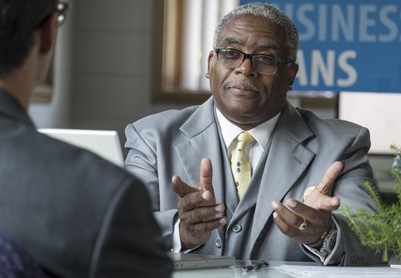 When buying a business in Florida with an SBA loan it is important to have the proper connections with the appropriate lenders who have the know how to get transactions done. Many banks say they can do SBA loans but there are really only a handful of professionals that actually can get the job done efficiently. If you are working with a business broker such as the trusted professionals at Truforte Business Group they will inevitably be able to assist anyone looking to buy a Florida Business with an SBA loan in the right direction.